This unique volume imparts practical information on the operation, maintenance, and modernization of heavy performance machines such as lignite mine machines, bucket wheel excavators, and spreaders. Problems of large scale machines (mega machines) are highly specific and not well recognized in the common mechanical engineering environment. Prof. Rusiński and his co-authors identify solutions that increase the durability of these machines as well as discuss methods of failure analysis and technical condition assessment procedures. 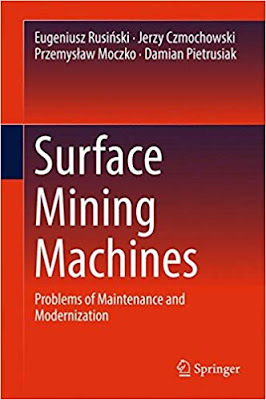 "Surface Mining Machines: Problems in Maintenance and Modernization" stands as a much-needed guidebook for engineers facing the particular challenges of heavy performance machines and offers a distinct and interesting demonstration of scale-up issues for researchers and scientists from across the fields of machine design and mechanical engineering.